It’s getting colder, so that means it’s time to announce the fourth Festival Stille Nacht! On December 15, great artists from home and abroad, in the realms of americana, indie pop, folk and electronics, will perform in an exciting, often intimate setting. 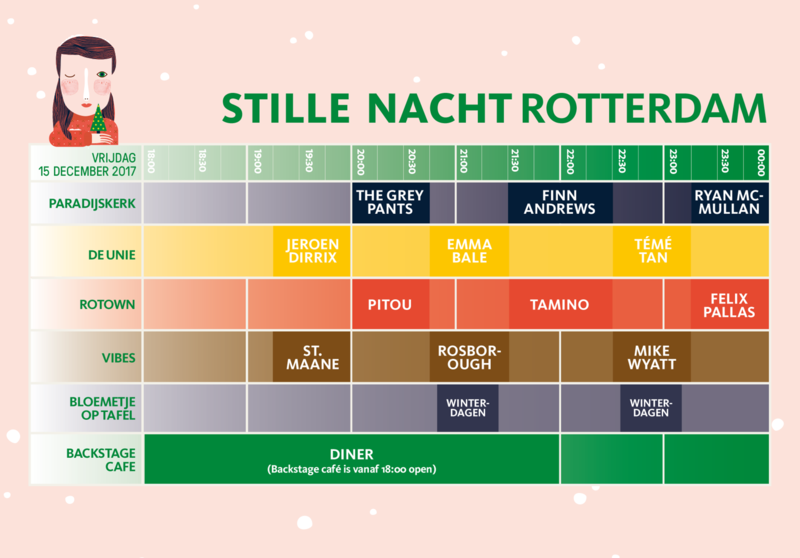 At each Stille Nacht-edition you can catch musicians at various locations before they become an established name. So it’s probably a good idea to order an Early Bird Ticket before we announce the first batch of names. One thing’s a lock: it’ll be a magnificent one! Here’s a list of artists who have performed at Stille Nacht in the past: Bear’s Den, Jake Isaac, broeder Dieleman, Finn Andrews (The Veils) Alex Vargas, Ben Caplan, Sue The Night, LA Salami, Crying Boys Cafe, Luke Sital -Singh, Faces On TV and Daniel Docherty.